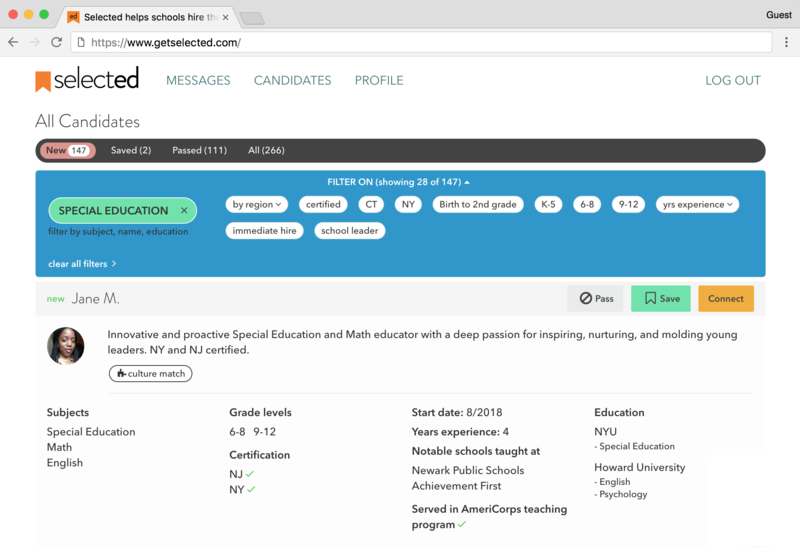 Our 1,100+ school partners have instant access to candidates carefully curated for immediate hire. Every candidate is screened for quality. You only see active job searchers that meet your criteria. Get results. Only pay a small, fixed fee if you hire. 90-day satisfaction guarantee. 90% of Selected hires stayed for at least a 2nd year. Tell us about your hiring needs and we’ll match you only with candidates that meet your criteria. 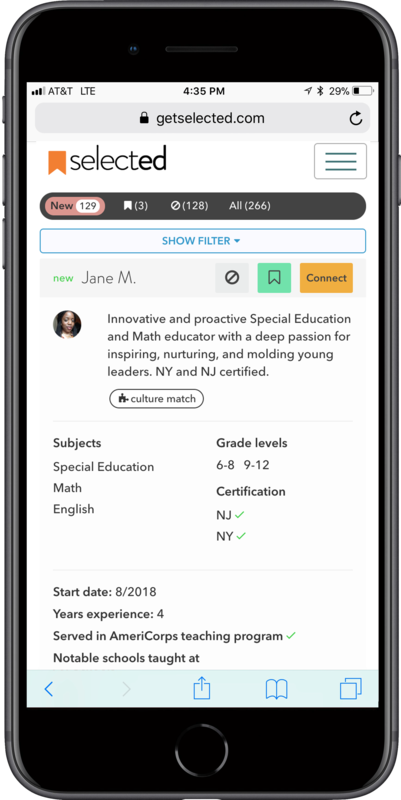 See available candidates and invite any to connect. If a candidate accepts your invitation to connect, message them directly and proceed with your regular interview process. Speak with several candidates. Extend offers to the best teachers for your school. Join our mailing list to hear about new developments, free Selected events, resources for your teachers, and much more.